Every new year brings with it resolutions, a fresh start, and—for travel junkies—a new crop of bucket-list destinations. In 2019, Italy's got among the well-known itineraries something in the spotlight for cultural reasons. Located in the southern Basilicata region around the “ankle” of Italy’s boot, “Matera is a journey back in time,” says Matteo Della Grazia of Discover Your Italy, which creates bespoke itineraries throughout Matera. “It showcases a part of Italy where history, traditional life, and natural and man-made beauty converge.”s. This year, the ancient city is getting a leading role among Itlian new destinations: It’s the 2019 European Capital of Culture. Twelve months of cultural programming: from contemporary art exhibits, poetry readings, dressmaking workshops to concerts, operas, and theatrical performances, including an interpretation from The Divine Comedy. In between the events, visit some of the more than 150 ancient cave churches in the area, savor the local Basilicata variation on Italian cuisine (and wine), and stay in boutique hotels like the Sextantio, where the atmospheric rooms and suites are set in converted grottoes. Discover Your Italy is specialized in creating unique itineraries. This ultimo luxe itinerary includes two nights in Bellagio at Lake Como, two nights in Verona, two nights in Manarola (Cinque Terre), one night in Tuscany, two nights in Positano, two nights in Puglia, two nights in Taormina, and one night in Sardinia. This journey, which can be completely customized, will allow you to jet across ‘The Boot’ from top to bottom, taking in the very best of the destination. The cost of this spectacular jet set itinerary starts at $17,000.00 and includes 14-nights accommodations in exclusive luxury hotels or historic mansions. Matteo Della Grazia and Daniela Mencarelli are co-founders of Fuoritinerario: Discover Your Italy, a boutique tour company that designs personalized itineraries so visitors can experience authentic Italy. Although their tours cover all of Italy, the company is based in Perugia, which is both a city and province in Umbria. Under-the-radar Umbria is a less traveled region in Central Italy with many advantages over Tuscany. Its cities have remained more authentic, less pretentious and the region it's called Italy’s “green heart.” Five suggestion on must-see places according Discover Your Italy include: Perugia, Orvieto, Assisi, Spoleto, Gubbio. Discover Your Italy is specialized in creating unique, immersive cultural journeys that showcase the best destinations and experiences Italy has to offer. Focusing on both small-group travel and private tours, their team can design a trip to your exact specifications, or customize their existing itineraries to your request and offer just the itinerary for intrepid gourmets. Matteo Della Grazia and his wife Daniela Mencarelli have created a tantalizing tasting menu of a trip that showcases many of the delicacies—and the locales they hail from—for which Sicily is celebrated. All the way from Palermo to Catania you could spend hours shopping, eating and fervent foodies will want to set up camp and stay for days in eanch place. No visit to Sicily is complete without discovering all the aspects of the food of this incredible land. Visiting Lake Como, Venice or Cinque Terre at during the summer high season comes with a price; fighting hordes of travelers. Instead of adding to the overcrowding and over-touristing of certain cities and islands that are of course popular for a reason, Discover Your Italy offers not as crowded but still just as majestic perfect alternatives for your Italian summer vacation. Matteo Della Grazia, owner of Discover Your Italy a boutique travel outfitter known for leading you to discover and experience the "true Italy", suggests charming Italian holiday locations including Lake Maggiore, Italian Riviera, Lecce and Siracusa. Based in Perugia, Italy, and founded in 2007, Discover Your Italy was born from a passion for travel and a genuine love of the country. Owned and operated by Italian husband and wife team of Matteo Della Grazia and Daniela Mencarelli, Discover Your Italy offers clients the opportunity to immerse themselves in the country as a local through the people and their traditions. With over-tourism becoming a desperate situation in many of Italy’s most well-known destinations (think Cinque Terre and Venice), Discover Your Italy,is encouraging travelers to look past the country’s famous locales and explore the “not-so-popular” ones: Lecce instead of Florence, Treviso instead of Venice, Italian Riviera (Liguria) instead of Cinque Terre, Siracusa instead of Taormina, Lake Maggiore instead of Lake Como. These lesser known gems still evoke the same wonder, elegance and history as your favorite Italian hot-spots, just sans crowds. Matteo Della Grazia, owner of the boutique tour company Discover Your Italy, says he is witnessing an increasing interest from foreign tourists in discovering Italian local food producers. The participants learn about the production process through guided visits, cooking classes and tastings. Some examples include cheese makers in Piedmont, pistachio growers and tuna processors in Sicily, bakers in Sicily and Matera, grappa distillers near Venice. "Hello Whitney" is a Fashion & Lifestyle Blog and its top six tips for traveling to Italy include contacting Matteo and his team (Discover your Italy, an Italian-based boutique company that specializes in crafting very individualized packages depending on clients’ budgets, interests, and needs) for an experience of a lifetime! 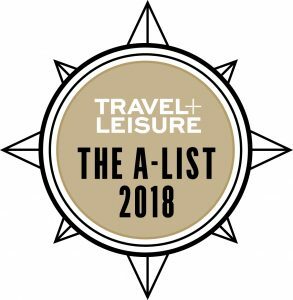 He’s also one of Travel + Leisure “best travel agents for Europe”! MULTIGENERATIONAL VACATION Families are deciding to broaden the experience and travel with extended family. The secret to success for multigenerational trips: a good balance of activities that combine the interests of each family member no matter their age. Discover Your Italy, a boutique tour operator known for delivering the “Italians Italy,” has perfected the art of crafting bespoke custom journeys; from touring The Colosseum, The Vatican and buzzing through Rome by Vespa, to wine tasting in the Chianti countryside and a private visit to a Chocolate Laboratory in Turin.